We all have encounters with difficult people who leave us rattled and shaken. A co-worker undermines us in front of our boss; our friend puts us down and says she was “just kidding;” our spouse rages at us and then turns everything around to make us think that it’s our fault. We know that Jesus tells us that we’re to love our enemies and pray for those who mistreat us but actually doing it is much more challenging. The apostle Paul counsels us in these instances not to be overcome with evil but instead, to overcome evil with good (Romans 12:21). But sometimes it feels like evil is stronger and we struggle not to let it get the best of us. Press Pause: As soon as you feel that poisonous dart, take a deep breath and pray for God’s help. The words or behaviors of another person have just knocked you off balance and will infect you with its toxic effects if you don’t quickly apply an anecdote. Don’t panic and overreact or be passive and underreact. Stay calm and don’t fall for their bait. Try not to take what they have done or said personally (which is very tempting to do). Remember, the way someone treats you, whether it be good or bad, really has nothing to do with you. It a statement about who they are. Ask yourself this question: What in this present moment do I need to learn (or change) in order to become the person I want to become? Here are a few things I have found I needed when I asked myself this question. If you must respond in the moment, speak calmly, truthfully and firmly especially when you have to set a limit or say “no”. Refuse to engage in arguing, defending yourself, or circular conversations that go nowhere. Practice (and this takes a lot of work) looking at this difficult/destructive person in a different way than you have in the past. Instead of meditating on his or her faults or sin, look for her goodness, his humanness, or his/her woundedness. When we can see a person in this new way it’s much easier to allow God to fill us with His love and compassion for this pitiful person who would be so blind as to treat us (or anyone) in such a sinful way. As believers we will surely encounter evil, but by practicing these five steps, we can learn to overcome evil’s toxic effects in us, with good. Question: I have become emotionally dependent on my female Christian psychotherapist. In the past I have had the same issue with some of my female friends. I find myself thinking about my therapist a lot throughout the day, having conversations with her in my mind, etc. In the beginning of our counseling I became kind of obsessed and even did internet searches trying to find out about her personal life. I felt convicted by God so I have stopped the information finding but how do I stop my mind from thinking? I have shared this dependency issue with her and with my husband (he is also a Christian, overly emotionally dependent on me & a bit controlling). 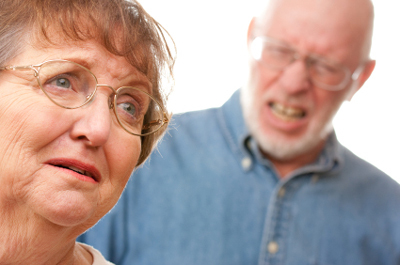 I started counseling to help me deal with my husband's health and dependency issues. The relationship with my husband is improving, I am learning to speak up for myself, I have stopped keeping secrets from my husband and we are progressing slowly but surely with the Lord's help. But the biggest problem I am having is emotionally detaching from my therapist. I am trying to renew my mind as God commands by memorizing scripture, having daily devotions, praying, listen to messages by Charles Stanley, Chip Ingram, Jonathan Haggee, etc. Have you ever addressed this issue and do you have any advice? Answer: First, let me encourage you that you have already taken some good steps. You are aware of yourself – that you are emotionally dependent on your counselor (and other females) and that it is not healthy. 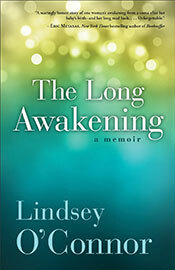 The Long Awakening: A memoir by Lindsey O’Connor. Plus see the winner of the previous give away! To win this book, please email your name to assistant@leslievernick.com with "Book Give Away" in the subject line by midnight Sunday, February 2nd. The winners of Unquenchable: Grow a Wildfire Faith that Will Endure Anything by Carol Kent are: Kim (Streestboro, OH) and Kelly (Lakeland, Fl).